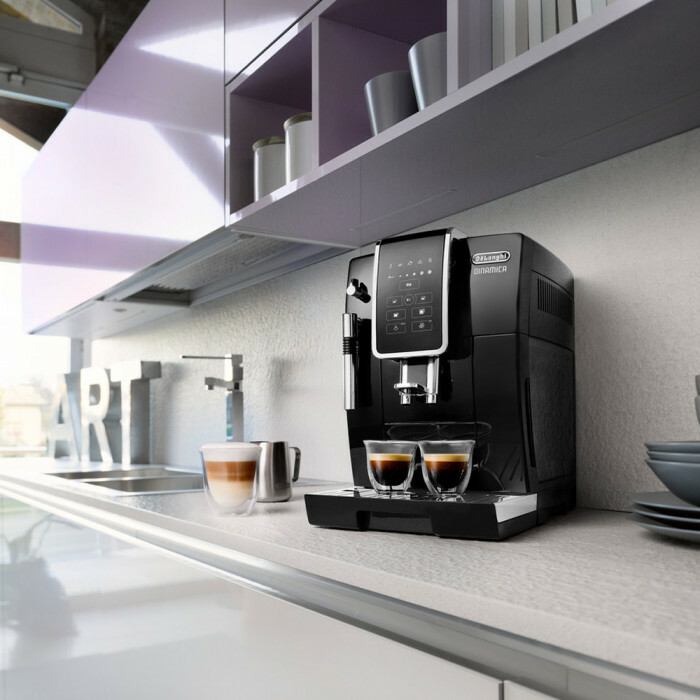 The De’Longhi ECAM 350.15.B is a bean to cup coffee machines that provides users with a simple, fuss-free coffee experience. For ease of use, this machine is hard to beat. 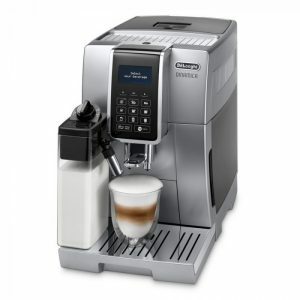 This free-standing, automated machine has backlit touch buttons with clear icons that makes it intuitive to use. 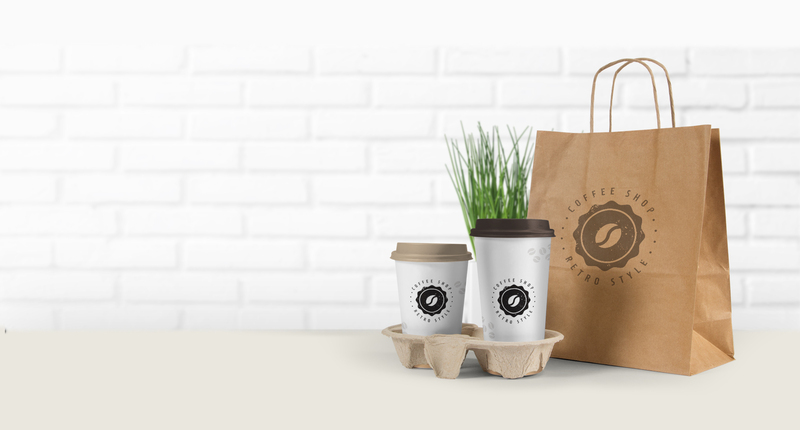 It’s simple to order one of a range of traditional coffee types, such as espresso and espresso luongo. 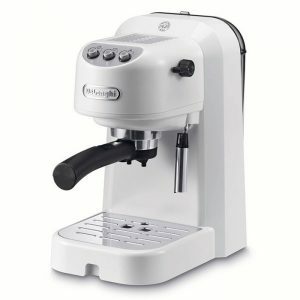 While the pre-programmed settings produce great quality espressos every time, not everyone likes their coffee the same. 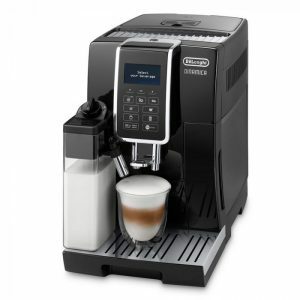 That’s why this De’Longhi bean to cup coffee machine is fully programmable, with three different temperature settings, and a wide range of strength settings. Four personalised options can be saved. 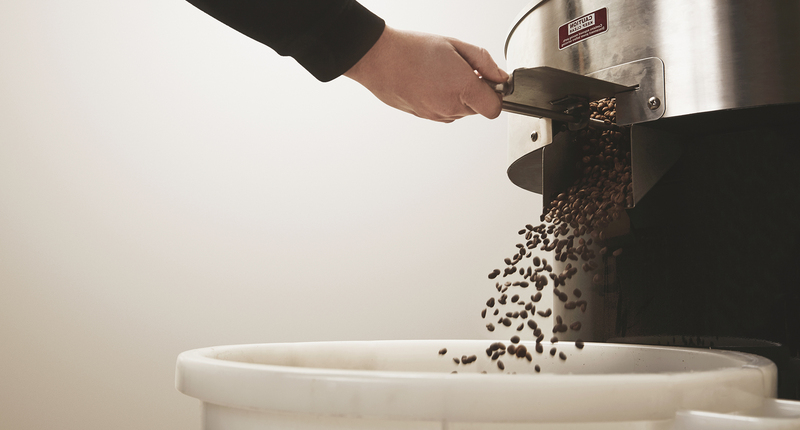 Fresh Beans or Pre-ground coffee? 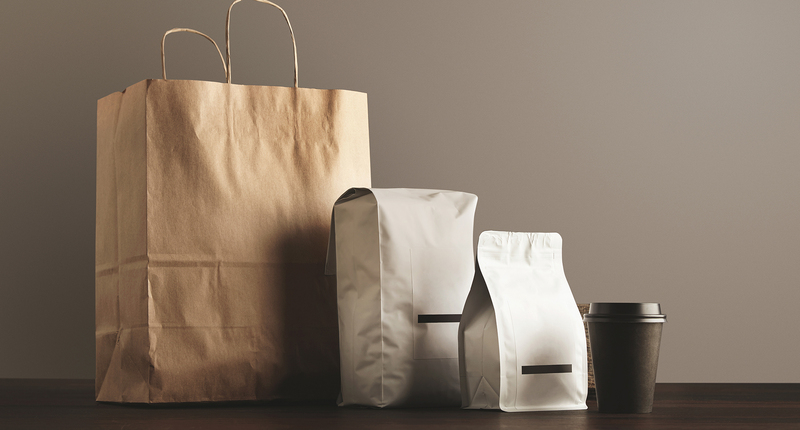 If you want to use pre-ground coffee, it’s not a problem. 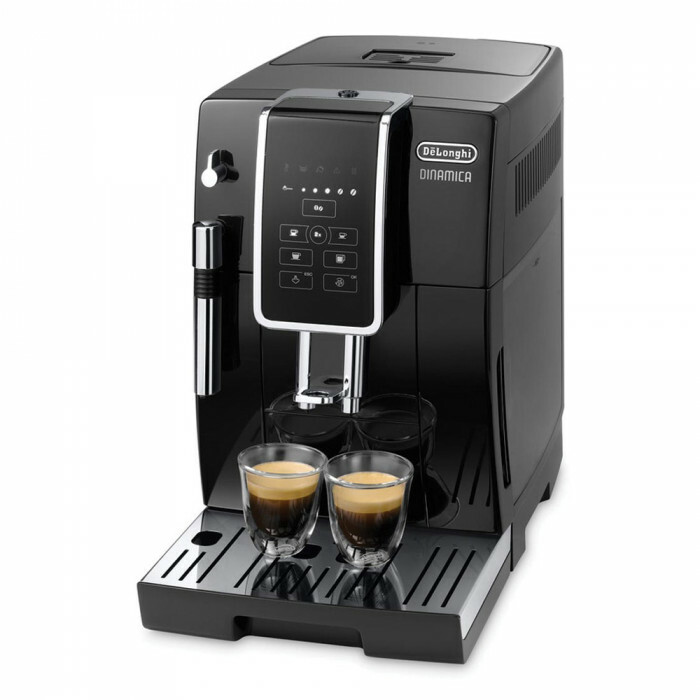 The De’Longhi ECAM 350.15.B coffee machine can handle ground coffee as easily as it does whole beans. 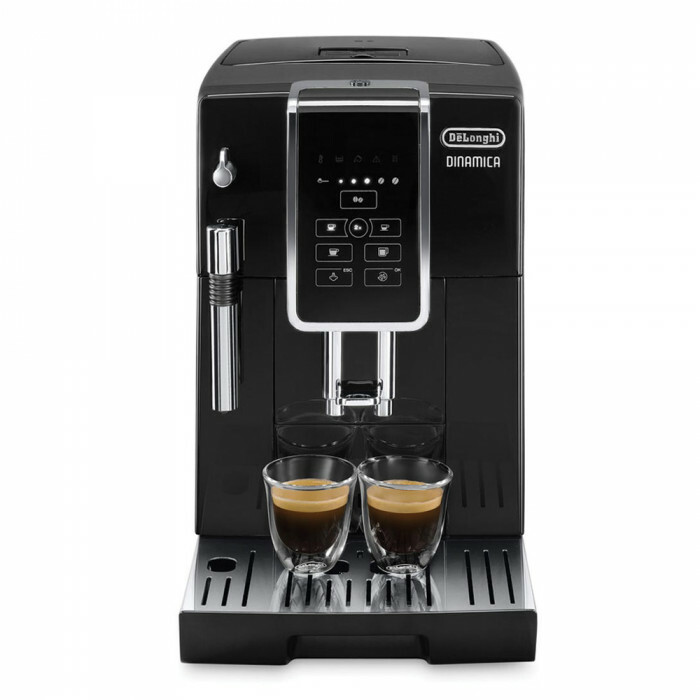 Want to make more than one coffee or fancy a double shot? 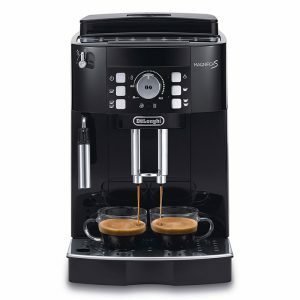 This De’Longhi coffee machine can make two cups at a time. 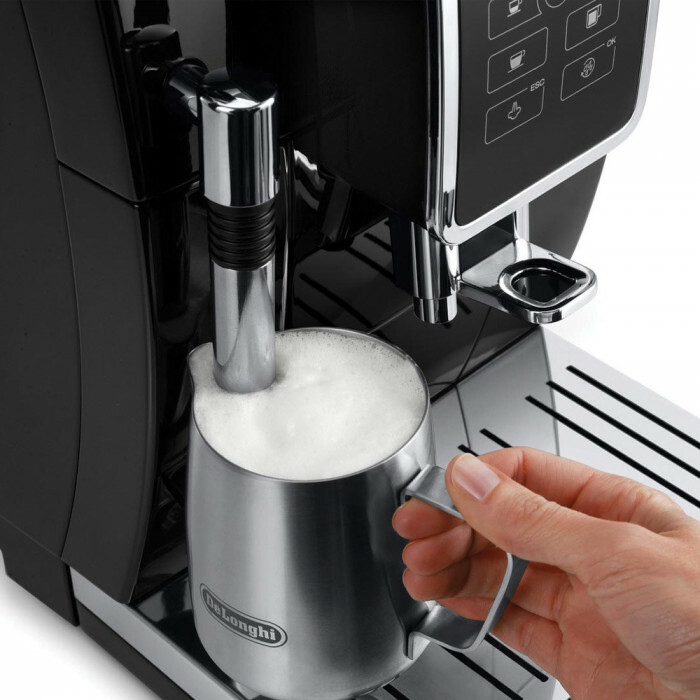 If cappuccinos, lattes or macchiatos are your thing, then this machine produces high quality, rich, frothy milk for the perfect coffee with its manual milk frother. And for true ease of use, the descaling and rinsing programmes are fully automated.